So many parents have this bad attitude of not caring about what their children love to do, and also want to do. Ask so many parents what they want their children to be. They all choose for this kids not minding the talent or desire this children posses. 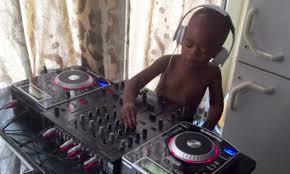 This brings us to the little story of this 3 year old kid from South Africa called DJ ARCH JNR. Aged just three years of age, DJ Arch Jnr recently picked up the ultimate prize on South Africa's Got Talent this year. He may not be mixing or beat matching tunes, but for someone his age he sure knows how to work those knobs and faders to get the crowd bouncing in delight. It's so sure he'll develop the complete package in time. 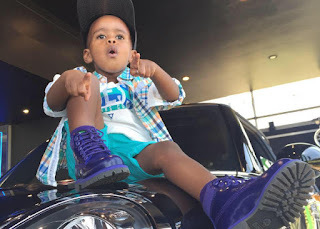 Arch Jnr (aka Oratilwe Hlongwane) is the 3-year-old Alexandra-hailing DJ who first rose to notoriety after his father began posting videos of the toddler virtuoso on YouTube in January this year. 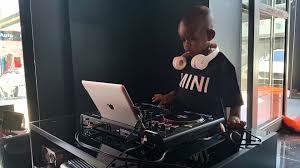 Touted as the “world’s youngest DJ,” Arch Junior is fast becoming something of a seasoned artist, currently boasting over 136,000 Facebook followers and, according to Pulse Radio, endorsements from Guess Kids, Beats By Dre, Mini Cooper and Djay Software. In one of the episodes of South Africa’s Got Talent, Arch Jnr become the youngest contestant to appear on the e.tv reality show. 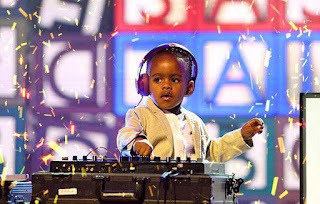 “He basically started DJing at the age of one – that’s when we discovered that he had love for music,” said his father, Glen Hlongwane, before Arch Junior took to the 1s and 2s with his signature red Beats headphones. The crowd went absolutely wild, including South Africa’s Got Talent judge DJ Fresh, who sent the 3-year-old straight to the show’s semi-finals with the last “Golden Buzzer” of the year. While the general response to DJ Arch Jnr has been praise and adoration, accusations of exploitation was also leveled at his parents. These was dismissed by the pair, who affirmed they will support their son to make his own life choices. They reportedly put the £25,000 in winnings earned by Arch Jnr into a trust fund to be used to improve his living conditions and pay for his education. DISCOVER YOUR CHILD'S TALENT. THE EARLIER, THE BEST. 0 on: "EARLIER DISCOVERED THAN LATE."